Did you know you could achieve a 70% open rate with direct email marketing to your patients? We’ve been implementing digital marketing with direct email campaigns for our healthcare customers for years and getting crazy good results for them! Have you ever wanted to delve into direct emailing and reap the super powers it brings? One thing we know for sure is that your patients want to hear from you. Our last 15 direct email campaigns we completed for clients achieved an average open rate of 70%! That’s insane! Our own Healthsite eDM average is around 40% (which is still pretty decent), but maybe we just aren’t interesting enough! What this tells me is that YOUR PATIENTS WANT TO HEAR FROM YOU! They want content that comes directly from your clinic and contains interesting, relevant content. After all, you should be the first port of call for health related content right? 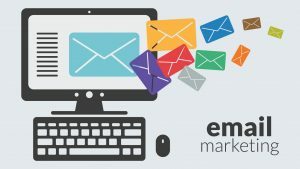 So how can you get started with an email campaign? And what content should you share? Email marketing should be an integral part of your digital marketing strategy. Below, I got the help from my good friend Brian Dean over at BackLinko who analysed 912 Million Blog Posts to find the characteristics of the most shared and linked Blog content! When it comes to social shares, longer content outperforms short blog posts. However, we found diminishing returns for articles that exceed 2,000 words. We found virtually no correlation between backlinks and social shares.This suggests that there’s little crossover between highly-shareable content and content that people link to. There’s no “best day” to publish a new piece of content. Social shares are distributed evenly among posts published on different days of the week. Lists posts are heavily shared on social media. In fact, list posts get an average of 218% more shares than “how to” posts and 203% more shares than infographics. The average blog post gets 9.7x more shares than a post published on a B2B site. However, the distribution of shares and links for B2B and B2C publishers appears to be similar. So, if you’re looking to create some great content and want help getting started, get in touch! We’d love to help you get started. Harness the power of email marketing and kick-start your digital marketing for your practice. If you are interested, and you’re still reading at this point…good on you you’re my favourite! We can really help you; we have professional in-house content writers that can work with you to produce content for you! Our team will set up and phone call to run through the content pieces you want to write about and BAM! We’ll do the rest. We can even send the email on your behalf, share the content directly to your social media platforms and…provide you with all reporting and analytics on your campaign. Digital marketing for healthcare practices is fast becoming a vital part of your budget. Increased competition for patients now means you have to become more competitive, and digital is the best place to start considering 91% of all consumers jump online before making a decision about any product of service. Healthsite Creative can help with all your digital needs. Get in touch and let’s start something amazing!